아산정책연구원(원장 함재봉)은 3월 20일(금) 미국 컬럼비아대학교 정치학과 요하네스 어플레이넌 부교수를 초청해 ‘재생가능에너지의 정치적 역사’를 주제로 라운드테이블을 가졌다. 어플레이넌 박사는 관심 받지 못했던 재생가능에너지가 주목 받는 글로벌 산업으로 성장한 과정과 재생가능에너지에 대한 찬반 여론의 정치적 배경을 설명했다. 이어 그는 에너지 정책이 입안되는 과정을 설명하면서 이것이 어떻게 현실에 적용되고, 현재 한국의 에너지 정책과는 어떤 연관이 있는지도 언급했다. 1990년대 들어선 후 15년 간 재생가능에너지 분야는 모두의 예상을 깨고 매우 빠르게 성장했다. 어플레이넌 박사는 “이러한 인기가 재생가능에너지 분야를 정치 쟁점으로 만들었고 특히 미국에서는 초당적 이슈가 되었다”고 설명했다. 또한 그는 “재생가능에너지가 갖는 이해관계가 제한적이어서 큰 정치적 반대가 발생하지는 않았다. 그러나 재생가능에너지의 대두는 기득세력의 이해에 대한 도전이었고 이것이 정치적 분열의 이유가 되었다”고 말했다. 마지막으로 어플레이넌 박사는 재생가능에너지의 정치적 성공 여부는 전적으로 국내 여건에 달려있다고 주장했다. 화석연료를 생산하는 중공업과 환경보호단체들의 정치적 영향력, 기후변화에 대한 대중들의 우려 수준, 당론 등의 변수가 재생가능에너지 분야에 직접적인 영향을 끼친다. 한국의 주요 에너지 원천은 석탄과 원자력이다. 천연자원이 부족한 한국에서는 수력발전과 같은 재생가능에너지 분야에 대한 투자가 비효율적으로 여겨진다. 그러나 어플레이넌 박사에 의하면 한국 정부는 녹색산업을 성장시키고자 헌신 중이다. 또한 후쿠시마 원전 사고와 같은 사건들도 원자력 발전에 부정적인 영향을 가져왔기 때문에 미래 대체에너지 분야 발전에 가능성을 제공하고 있다. 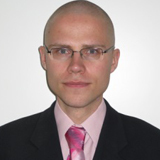 Johannes Urpelainen (PhD, University of Michigan, 2009) is Associate Professor of Political Science at Columbia University. His research focuses on international cooperation and environmental politics. The development and testing of strategies to improve the formulation of economic and environmental policy motivates much of his research. His first book, Cutting the Gordian Knot of Economic Reform, is the result of a collaboration with Leonardo Baccini from the London School of Economics and Political Science. The book was published by Oxford University Press. Drawing on both quantitative tests and extensive case studies, the research shows that leaders in developing countries have used preferential trading agreements with the European Union and the United States to secure domestic political support and enhance the implementation of initially controversial reforms. The results from the book have been featured and used by various research and policy organizations, including the United Nations. The author of more than a hundred refereed articles, Professor Urpelainen’s research has been widely published in leading social science journals, such as The American Journal of Political Science, International Organization, and The Journal of Politics. He has also published extensively in economics and policy journals. Much of Professor Urpelainen’s current research focuses on finding practical solutions to the political problems surrounding economic policy reforms in emerging economies. These projects have brought him to a number of countries in Africa, Asia, and Latin America. In his spare time, Professor Urpelainen loves to read biographies, improve his terrible Hindi, and meditate.